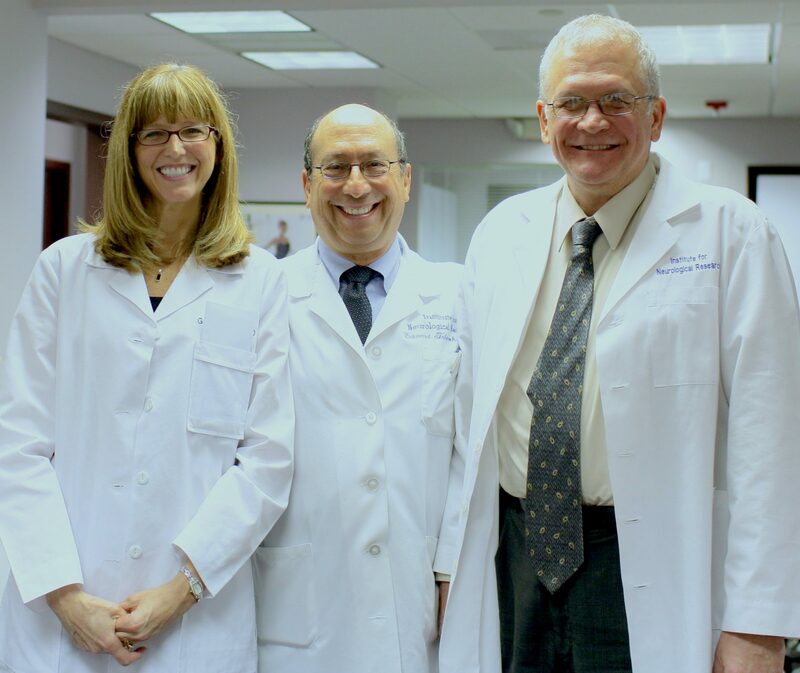 Doctors Ignatowski, Tobinick, and Spengler at the INR, January 2014. This new book chapter has published in its pre-print version from the new scientific textbook entitled, “Mechanisms of Neuroinflammation” by InTech. 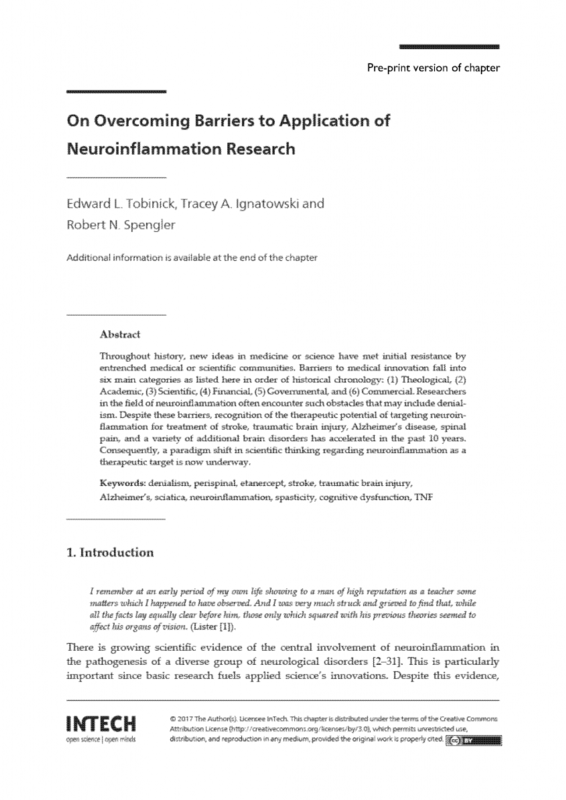 Download the free pre-print version here: On Overcoming Barriers to Application of Neuroinflammation Research, Edward Tobinick, Tracey Ignatowski, Robert Spengler. InTech, 2017. Tobinick E, Ignatowski, T., Spengler, R. On Overcoming Barriers to Application of Neuroinflammation Research. In: Abreu GEA, ed. Mechanisms of Neuroinflammation: InTechOpen; 2017.